A house in The Avenue, West Moors, is still smouldering after it was thought to have been set on fire deliberately earlier today (9 January). 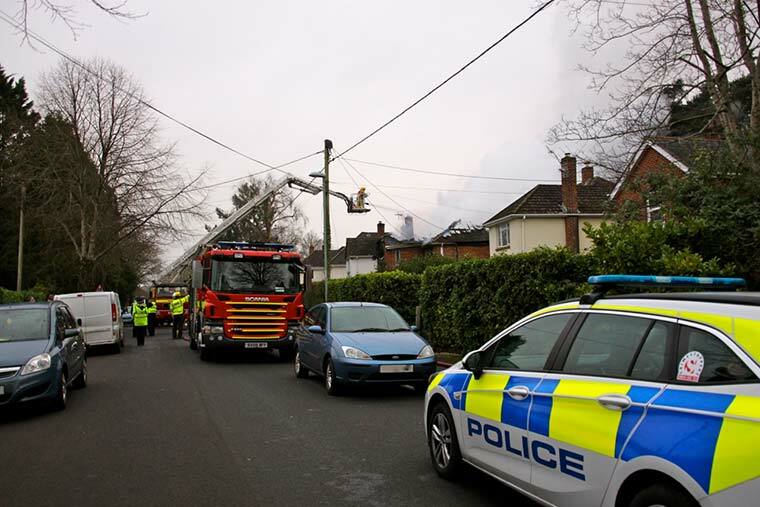 One of the first people on the scene was local man Peter Lovesey who said he believed the fire had been started deliberately. He helped three others rescue a man from the burning building. It is understood that a man has been taken to hospital. It is also believed that the woman who lived at the property was out at the gym when the fire started. A road closure of The Avenue was in place while emergency services attended to the incident. Edited 10 January 2018: It is reported that a man has been arrested on suspicion of attempted murder. CHARGE UPDATE: A 55-year-old man from Three Legged Cross has been charged with arson with intent/reckless as to whether life was endangered and harassment and is due to appear at Poole Magistrates’ Court on Thursday 11 January 2018.